For enthusiasts, it’s all about cementing the power of the industrial hemp movement right into people’s homes. 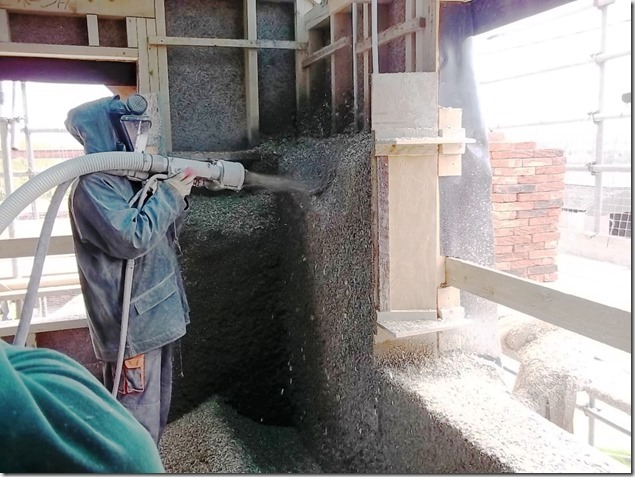 You might ask, squinting one eye, and jutting forward to re-read…Hempcrete? Say what! When it comes to hemp, the ranges of uses (including food, clothing, rope, paper, soap, cosmetics, and even fuel) are well-known. One not so readily understood usage, is hemp as a building material, and the science behind hemp composites. Hemp used in major construction is an innovation that’s already with us. In our last edition, we learned that here in B.C. 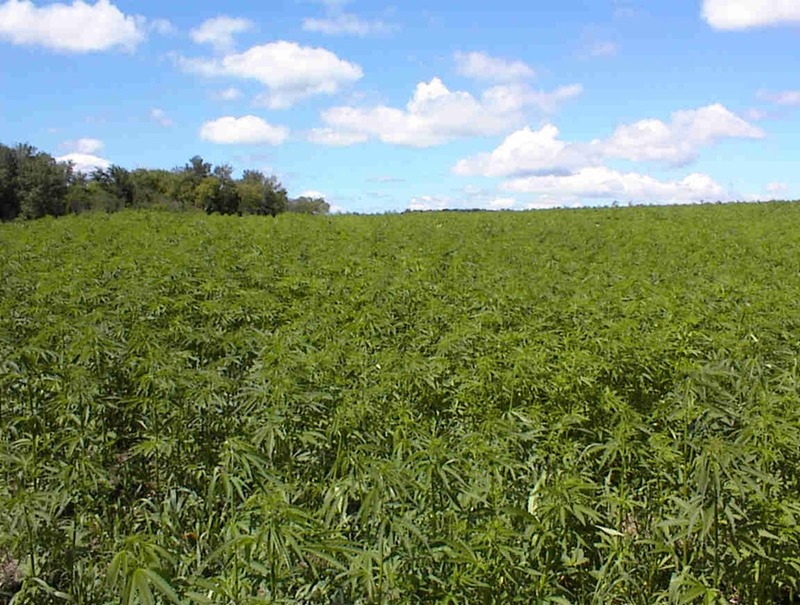 there are plans for a manufacturing facility using industrial hemp to produce construction material. The concept of industrial hemp in use as a building material is not only altering how we build in practice, but also how we conceptualize a sustainable development and build a new economy in Canada and beyond. Yes, there’s a ways to go, but indeed it’s encouraging “big news.” So, taking from that, we need to delve deeper into the research, now, to find out why it’s taken so long for environmental modelling techniques for hemp construction to be validated. Much design guidance is needed in an expanding “hemp-as-a-building-material” industry since it is already in demand by contractors and their carpenters. I can’t tell you how many builders have expressed the desire to work with hempcrete! If more people are to get on board with the industrial hemp movement there will be a growing need for hemp as building material 101 education courses. Here’s a quick synopsis of the basic terms you might see floating around the internet, all legitimately presenting the low-carbon footprint potential. 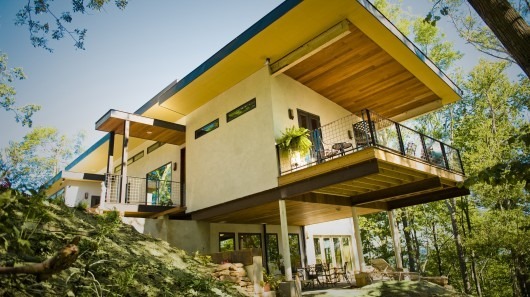 Hempcrete has an energy saving of 67 percent over using traditional concrete. Marketed under names such as “Hemcrete,” “Canobiote,” “Canosmose,” and “Isochanvre,” these terms refer to a mixture of hemp hurds (a woody chip-like substance) and lime, used as material in a construction project. The hemp-lime combination material is the lightweight composite material that combines the renewable plant-based aggregates, often referred to as the fast-growing hemp shiv, mixed in with a lime based binder. Sound simple? Depending on preference for building materials, hemp herds may be mixed with lime and sand and/or cement, as well. An experienced contractor once told me that hempcrete is easier to work with than traditional mixes, and it’s less dense than concrete. Is that good? There are different things you can do with hemp, so it depends on need. For instance, Isochanvre, out of France, is suited to their historically stone-based edifices which have existed in the country for centuries. It lends itself well and is known as “the method of crystallizing the hemp sap.” It is mixed with hydraulic lime and water to bind it together, then packed into timber formwork and left to solidify like concrete. Moreover, I’m told by a talented and charming finish carpenter that when hemp hurds are mixed with a combination of lime products, they can produce a lightweight insulating plaster which can be cast around a timber frame or sprayed against a wooden or even stone form. He went on to say that in construction, a material has to have good working value and what’s being used must be durable, water-proof, fireproof, possess reliable insulating value, and it must be strong—otherwise you wouldn’t want to live in that house, right? House foundations can be made out of hemp hurds. Here is a sample explanation of the use, for example. On the site, assume a plywood frame is in place—needless to say this could be hemp plywood. An expert would fill with a mixture of hemp hurd, and combine with lime, sand, plaster, some cement, and enough water to dampen. The mixture has to set a day or more. Then, take the frame down but let the mixture continue to harden for approximately a week. The lime and the hurds create a reaction which binds the mixture together. More about the hemp plant. It grows voraciously and represents a fine form of a renewable resource. A crop can be grown without the use of herbicides or insecticides. 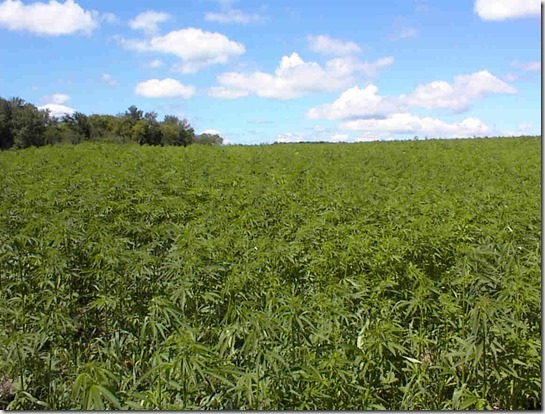 It takes one hectare of land to grow, in approximately four months, sufficient hemp to build a three-bedroom house. This estimated production amounts to four tonnes of material per acre per year. Hemp is categorized as a bast fibre crop. It sports a stem made of an outer skin with strong lengthy fibres, and a core, or what’s called pith. Once processed, the stems turn into in two things: hurds and fibres. 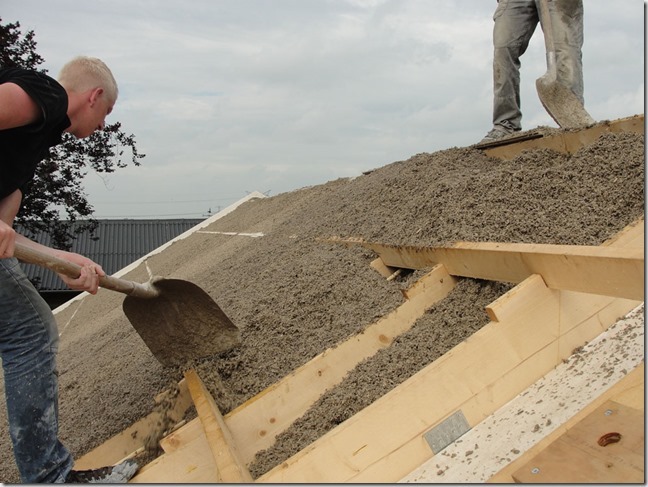 It is the properties of these materials which make them so adaptable to building construction. What’s not so obvious, however, is why such barriers exist to move the industry forward. 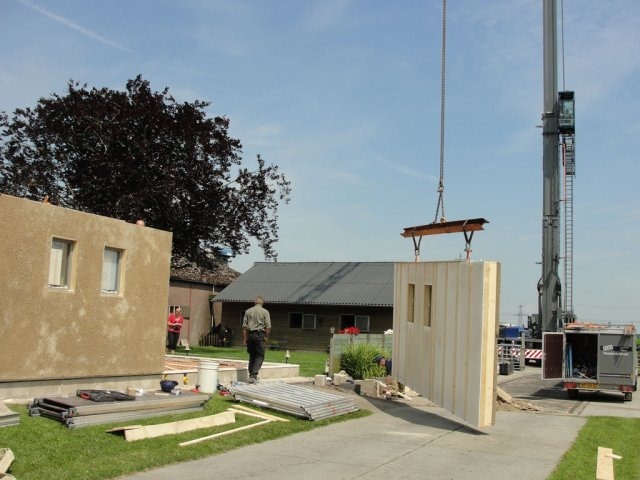 There are many experiments using hemp composite materials in building development all over the world, but due to social stigma, there are not that many well publicized buildings about which we can authoritatively speak in a workshop environment. It’s clear from journalistic probing, that many carpenters enjoy working with hemp, but they may not want their businesses associated with the plant, for fear of being pigeon-holed. However, this is not to say that the stigma shouldn’t be eradicated. Hemp homes do exist, in even more abundance, in France, the UK, Germany, and now South Africa. Well known in the U.S. is the Pine Ridge Reservation, in South Dakota. There sits a community hemp house built as a model for sustainable economic redevelopment. 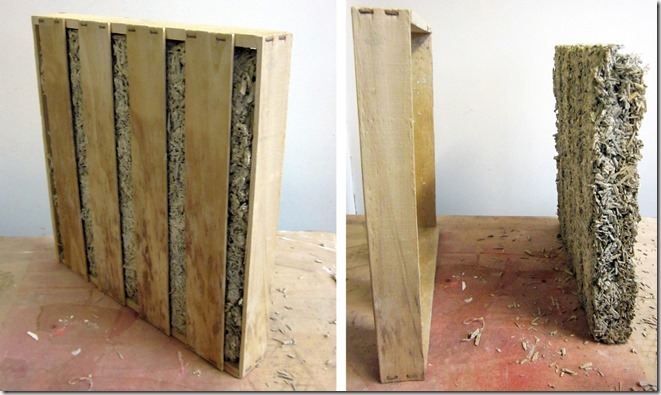 It contains hemp insulation and stands as an experiment with hemp fibre reinforced cement board. The gospel on hemp is that it can be converted into a building material and processed in such a way for it to be usable to make window panes, sills, roofs, floors, wallboards etc. In addition, it can be used as plaster and caulking. Then there is hemp plywood, insulation made from hemp composite, and/or insulation panels. Also pipes, bricks, and/or green bio-degradable plastic composites. 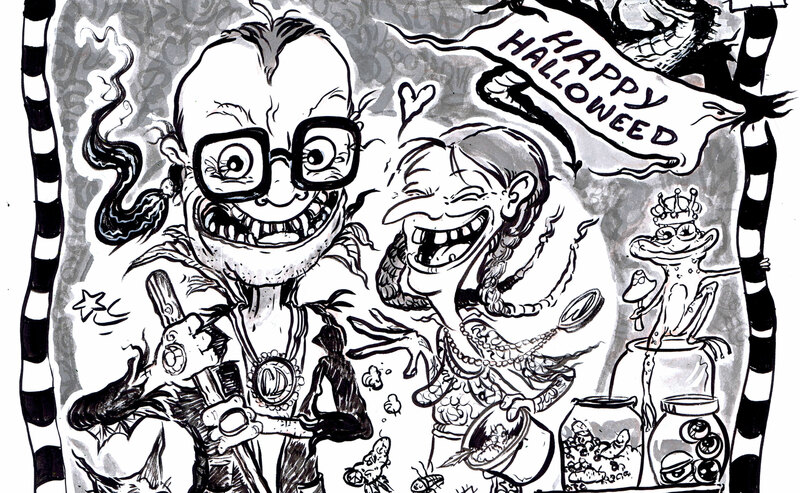 There are other reports from the ground and cautionary tales. Hempcrete can only be used if it holds up over the long-term and is found to have excellent durability. That would be a normal expectation. There have been instances of cracking and softness, causes of which are not entirely understood. It’s likely that strict ratios were not followed. Experimental projects are therefore necessary, and will need funding together with the help of politicians to spread the word. Errors are simply a reflection of a new building product where we haven’t, so far, had the resources or demand to properly research and develop. The person who is in charge of the hempcrete portion of the building must have full construction training and must not be new to natural building techniques employing hemp and lime. <http://www.hemptrade.ca/>The Canadian Hemp Trade Alliance, started in 2003 helps to co-ordinate research. My company is based in Colorado where we have a 300 acre hemp farm. Our CBD oil has been selling really well and we are just now starting to process our hurds for Hempcrete. If you are still interested in building a house please shoot me an email. Only just found this page but i thought you might be interested in this.